During the Edison Awards nomination process, the Steering Committee reviews each nomination, selecting only those they believe merit consideration for an award. The approved applicants are put on a comprehensive ballot and sent to over 3,000 experienced senior business executives throughout the nation. The ballots are tabulated and the finalists are notified. In addition, the Steering Committee is responsible for selecting the Edison Achievement Award honorees. 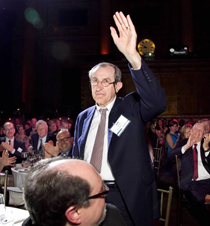 They review biographies, practices, and impact of nominees and select individuals who are on the cutting edge of innovation to receive the distinguished award. Andrew Banks is one of the 'Sharks' on the television series Shark Tank Australia. An Australian entrepreneur, investor, film producer and talent & learning expert, Andrew began his career as an actor. His core business activities have been involved with building and growing companies in the recruiting, training and HR outsourcing space. Together with Geoff Morgan, Andrew founded Morgan & Banks in early 1985 and grew the company to become the dominant recruitment force in Australia and Asia with a 17% market share before merging with TMP/Monster.com in 1999. In 2005 Andrew launched Talent2 International, which focuses on HR Outsourcing and Executive Search and Selection, with a team of 1,600 professionals operating in 20 countries; it was acquired by Allegis Group in 2014. 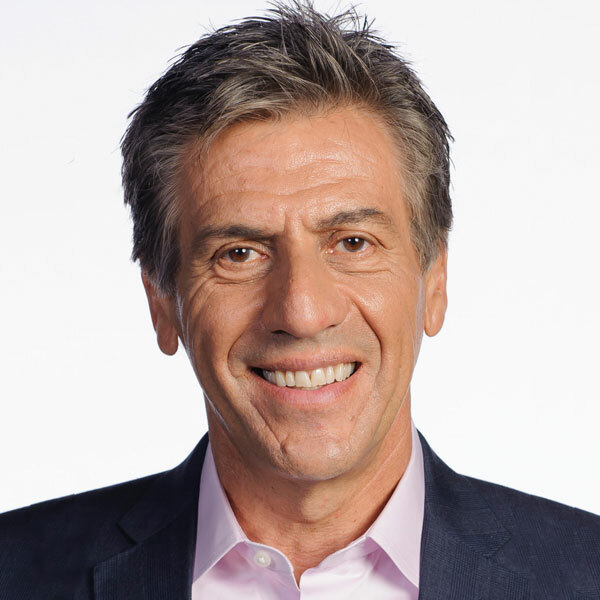 Spending time between the US and Asia Pacific, Andrew now focuses on advising clients around senior executive talent and Board appointments; he is a US Film Producer as Lila 9th Founder (Syrup/Kumiko, The Treasure Hunter) and an investor in a few "start-ups" leading to involvement in Shark Tank Australia on Network TEN. Outside of his legal practice, Jim is an active entrepreneur himself. 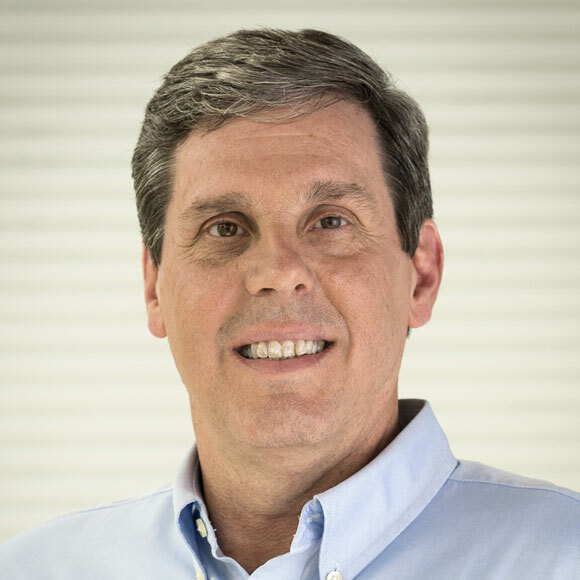 As founder and CEO of Behmke Ventures, LLC, Jim has started and helped start a number of successful businesses, including being a founding member of PianoArc, LLC, a 2015 Edison Award Gold winner for innovation in entertainment (prior to his joining the Edison Award Steering Committee). Jim is also the inventor on a growing number of issued and pending patents. Jim graduated from Worcester Polytechnic Institute, where he earned a Bachelor of Science in Electrical Engineering, and then continued to receive his Juris Doctor from Franklin Pierce Law Center (now the University of New Hampshire School of Law). Manager, New Enclosure Technologies, Apple, Inc.
Shravan Bharadwaj works with new enclosure technologies, novel materials and processes at Apple. He has worked as a lead in technical manufacturing operations, successfully launching several of Apple’s flagship products. Shravan also invented several advanced manufacturing processes, using robotics and smart automation to drive technical innovation in high-volume manufacturing. Previously, Shravan worked in design engineering in the United States, India and Japan. His research work focused on smart materials, dynamic systems and mechatronics. Shravan received his Master of Science degree in mechanical engineering from The Ohio State University and a Bachelor of Technology from National Institute of Technology, Trichy, India. He is a hobby artist and enjoys conceptual art, sketching and digital creativity. Frank Bonafilia is the Executive Director of the Edison Best New Product Awards and Edison Green Awards. He is the co-founder of Edison Universe, a non-profit organization focused on fostering the next generation of innovators (future Thomas Edisons) in the K-12 grade level and using tools like creativity, collaboration and immersion to prepare students to identify new opportunities and create solutions around the opportunities. Frank is a 15-year marketing executive with an award-winning career in financial services, real time data synchronization, retail software and the successful development and launch of profitable new products and services. Early in his career Frank was involved with the Edison Awards when he managed the Sponsorship and Awards Division of the American Marketing Association. In that capacity, he was responsible for the Divisions overall profitability and extension of the Edison Awards brand, which is manifested in the Edison Awards current status as an independent organization. 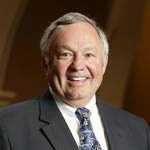 Frank holds an MBA from Saint Xavier University and a BA in International Communications from the University of Kansas. Dave Brenner is the Executive Director of Innovation Park at Notre Dame. 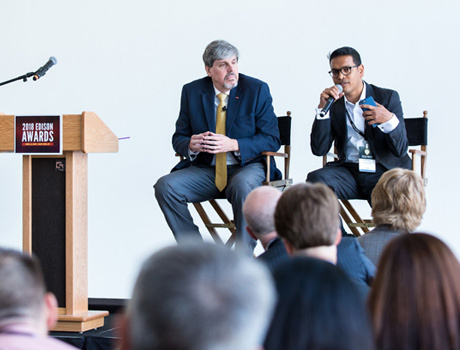 Founded in 2009 by Mr. Brenner, Innovation Park has become a significant contributor to the creation of a dynamic entrepreneurial ecosystem at the University of Notre Dame, to cultivate new ideas emerging from university research into marketable new ventures. 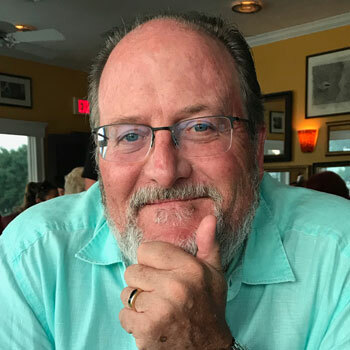 Mr. Brenner is an accomplished executive, with over 35 years of experience in FORTUNE 100 companies, with direct responsibility to lead new business activities, either internally or externally via start-ups. His background includes founding and serving as managing partner of IdeaWorks, LLC, a new venture accelerator in Grand Rapids, Mich. Prior to IdeaWorks, Dave worked for Amway Corp., in global market development and as founder and president of Amway Ventures, Inc., which developed and launched new independent business ventures. His professional experience also includes executive management positions at Kelloggs in the US and in Europe, as well as senior marketing roles at Johnson & Johnson and Procter & Gamble. David has been very active with the Gigot Center for Entrepreneurial Studies in the Mendoza College of Business and is a member of its advisory board. David is a member of the Board of Directors for the Irish Angels; a Notre Dame inspired angel group dedicated to furthering startup growth through early stage investments. He is also a board member of a number of non-profit boards as well. Mr. Brenner is a graduate of the University of Notre Dame. David and his wife, Denise, also an ND graduate, are proud parents of three ND graduates: Dave '05, Marie '08 and Cindy '09. 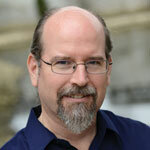 Dave Brenner is the Director of Business Model Innovation at Intuit and works on the QuickBooks business. He is responsible for building and monetizing new products that enable small businesses to access growth capital and make better business decisions. This work spans across SaaS accounting, invoicing, payroll and loans among other lines of business. Prior to this role, Dave spent five years at Google leading business model innovation at YouTube and consulting on marketing with large global clients like Coca-Cola & Mondelez. He began his career at Procter & Gamble where he led a number of teams in brand marketing and digital strategy including leading eCommerce for P&G 's direct-to-consumer eCommerce business while building relationships with large eRetailers. He also led the marketing of Tide & Tide to Go (a former Edison Awards winner) including a Super Bowl campaign in 2007 which was voted as the top Super Bowl advertisement of the year. 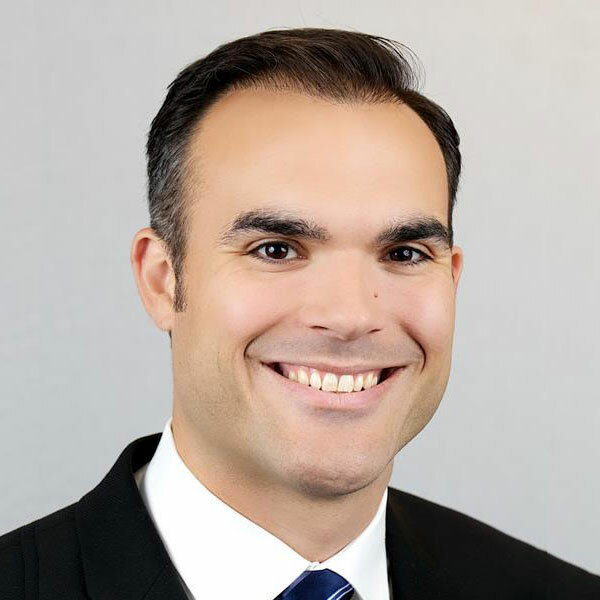 Dave holds a Masters in Business Administration with a major in marketing and management from Northwestern's Kellogg School of Management and a B.A. in Marketing from the University of Notre Dame. Dave and his wife, Keri, live in Palo Alto, CA with their two children. In his spare time, Dave is dedicated to running, beer brewing and exploring the Bay Area. Michael Docherty brings unique perspectives to growth and innovation, having been an entrepreneur, senior corporate executive and venture capitalist. It might explain why he’s passionate about the intersection of corporate innovation and entrepreneurship. Docherty is currently the managing partner of NextBig, a unique venture creation firm that provides 'company-building as a service'. NextBig works with leading corporations to define disruptive challenges and digital-enabled opportunities, then builds new independent ventures using a shared risk business model. The company leverages a curated network of entrepreneurial talent along with a proven venture acceleration system and deep technical development capabilities. Docherty is also CEO of Venture2, a growth and innovation consulting firm that helps leading companies transform their innovation capabilities. 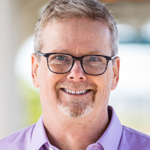 Michael Docherty is the author of the recent book Collective Disruption: How Corporations and Startups Can Co-create Transformative New Businesses. The book provides established companies with a practical playbook for plugging into the startup ecosystem to fuel and incubate new businesses as entrepreneurial ventures. 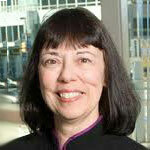 Docherty holds an MBA degree from Northwestern University’s Kellogg School and BSME degree from Drexel University. He is a frequent speaker on innovation and corporate venturing and an active supporter of the entrepreneurial community. 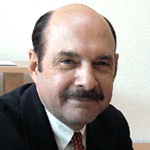 Harry Epstein is currently the President of Quadrant Management Consulting based in Chicago. His focus is growth and innovation strategy and IP commercialization through the building of strategic alliances. Ken is an internationally recognized innovator and product & operations executive who launched Caterpillar’s first hybrid construction machine, regarded as one of the ten most innovative products in the iconic brand’s 90-year history. 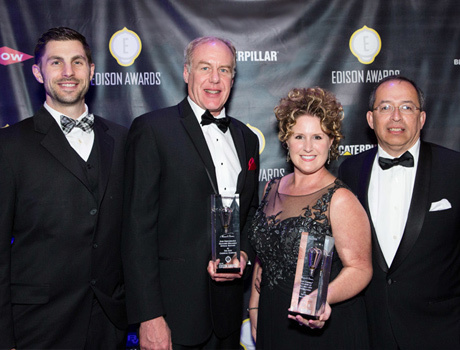 In addition to receiving a Caterpillar Chairman’s Award for Innovation, Ken is an Edison Award winner and has earned a Platts Global Energy Award and an International Construction Economic Forum Equipment Innovation Award—all Caterpillar firsts. Ken’s contributions to sustainability have been recognized with CALSTART’s coveted “Blue Sky Award,” as the “Top Product of the Year” by Environmental Leader, and by an Illinois Governor’s Sustainability Award. Ken’s product management leadership was honored with a Caterpillar Chairman’s Award for Continuous Improvement, as a five time finalist for the Caterpillar Chairman’s Quality Award, numerous times on the annual Construction Equipment Top 100 New Products list, by Diesel Progress with their “Excellence in Design Award,” and by Better Roads with a “Top 10 Roll-Outs” Award recognizing the best product marketing launches in the construction equipment industry. He and his team were honored to receive a 2015 Chicago Innovation Award and were featured in Forbes, Inc., Crain’s Business, and Fast Company. Ken was recently (April, 2017) appointed Chairman of the Board of FIT America Inc., a subsidiary of the FIT Additive Manufacturing Group, to extend FIT’s European success to North America. With over 20 years of experience, FIT is the world’s premiere resource for additive design and manufacturing (ADM) and is arguably the worlds largest 3D printer of metals. FIT begins with a low cost partnership or alliance to quickly assess and immediately leverage a client’s ADM opportunities. Then the relationship deepens, perhaps through a joint venture, to fully integrate ADM into a client’s operations. Finally, FIT divests when the client is ready to take flight. FIT’s proven business model reduces a client’s ADM learning curve by years, perhaps even decades, and leaves them fully capable of reaping ADM’s extraordinary potential. The majority of Ken’s career focused on serving Caterpillar customers, dealers, employees, and shareholders around the world with assignments in North America, Asia, and Europe. He held positions with diverse areas of responsibility including engineering, marketing, product management, dealer development, and leadership. Ken was Caterpillar’s first corporate Director of Innovation and an Analytics & Innovation Division Director. He developed and executed Caterpillar’s transformational innovation strategy to create value for customers and for dealers while increasing bottom line results for Caterpillar shareholders. He guided his team to bolster the best capabilities from Caterpillar’s innovative history and to broaden the scale of innovation by introducing a new innovation vocabulary and integrating new tools, leaner processes, and external perspectives. Ken built an innovation incubator to drive a global culture of trust, collaboration, and experimentation while generating revenue through new products and services. Ken holds a Master of Science and Bachelor of Science in Mechanical Engineering from Bradley University in Peoria, Illinois and completed executive development programs at Stanford University in Stanford, California, The Institute for Management Development in Lausanne, Switzerland, and Bradley University. Hodock is a full time faculty member at Berkeley College teaching marketing courses at their Middlesex and Garrett Mountain campuses. He also teaches an advertising course at New York University and has been a guest lecturer at several colleges, including the Wharton School. 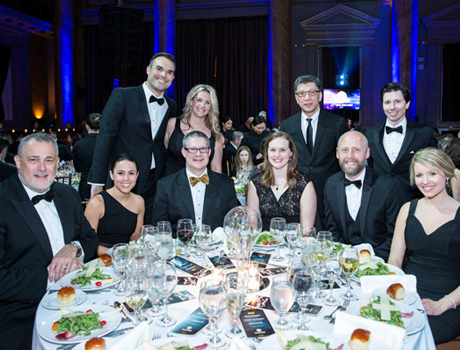 During his stewardship of the American Marketing Association, Hodock created the prestigious AMA EDISON AWARD presented annually to American corporations for product innovation excellence. During a twelve-year period, he reviewed Edison submissions for literally thousands of new products and services from America's elite corporations. Some of this material, not available in the public domain, was used in his new book Why Smart Companies Do Dumb Things. He became a heralded new product guru widely quoted in the press as a result of the Edison experience. An innovative integrated marketer with over nineteen years of agency experience, Shannon decided to join the Acosta Marketing Group in April 2010. Prior to AMG Shannon worked at TracyLocke for nine years where she created shopper marketing and integrated marketing programs, promotions and sponsorships for a variety of blue chip brands including Hewlett-Packard, Kimberly- Clark, Quaker Foods, PepsiCo, and Walmart. Also as part of TracyLocke, Shannon paved the way for expansion in the Bentonville, AR market, where she started and developed a profitable regional office before returning to Wilton, CT. Prior to joining TracyLocke, Shannon worked at several different agencies including Digitas, Momentum Worldwide and Young & Rubicam. She oversaw the client services, planning and execution for clients and properties that included GM, American Express, Johnson & Johnson, Phillip Morris, KFC, USPS, Outback Steakhouse, AT&T, ESPN?s X-Games, PGA, USTA, NASCAR, The Sundance Film Festival and the Olympics. 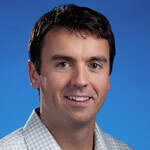 David has been a technology entrepreneur for most of his career. He has over 30 years of experience as a software engineer, managing software development teams, developing complex systems and delivering products. He has consulted with venture capital firms and advanced technology start-ups, performing technical due diligence and business strategy assessments. In 2013, he left the IT industry to follow his passion for space exploration. 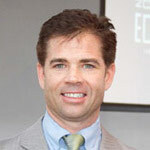 David founded Orbital Transports to develop the space logistics and orbital infrastructure technologies needed for the emerging space resources economy, and ultimately to support human settlement of the Solar System. 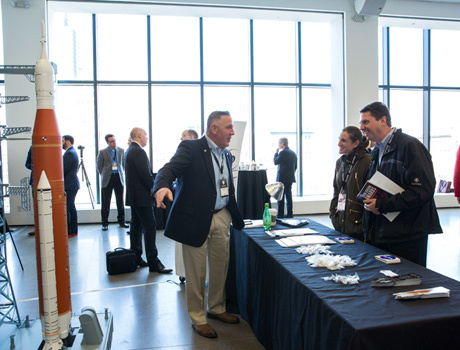 As an advocate of space-related and space-scalable businesses, he also founded the NewSpace Chicago community of space entrepreneurs and others engaged in building commercial space ventures in Chicago. Prior to Orbital Transports, LLC, he founded multiple successful technology companies, including Athena Security, Inc., a network security company, which was acquired by SolarWinds in 2012. He has received 4 patents. He graduated from Northwestern University with a BS in Electrical Engineering and Computer Science. A love of science and a passion for chemistry propelled a farm kid from Virginia to a satisfying industrial career. Mark Jones is currently Executive External Strategy and Communications Fellow for Dow Chemical, reporting directly to Dr. A.N. 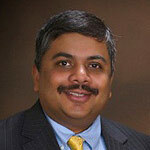 Sreeram, Corporate Vice President of Research & Development and Chief Technology Officer. Mark joined the CTO staff in September 2011, do, in part, to his skill in communicating science. In 2017, he was named a Fellow of the American Chemical Society, recognized for his commitment to communicating chemistry. 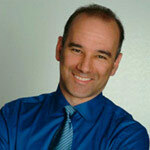 Mark curates and hosts webinars describing successful product introductions with ACS Webinars. Mark is a frequent speaker a scientific meetings on topics of energy, sustainability, biomass conversion, and others. Mark currently serves as co-chair of the National Academy’s Chemical Sciences Roundtable. He is a co-author on the recently released National Research Council reports on “ARPA-E” and “Sustainable Development of Algal Biofuels in the United States”. Mark is a member of the Board of Directors of the Biotechnology Innovation Organization (BIO) Industrial and Environmental Section and is an active member of the American Chemistry Council’s Biobased Chemistry Network. The White House’s Advanced Manufacturing Partnership was a focus from 2013-15, looking both at technology options and improving scale-up of new technologies. He participated in a number of World Economic Forum events, leading discussions around energy and bioproducts. 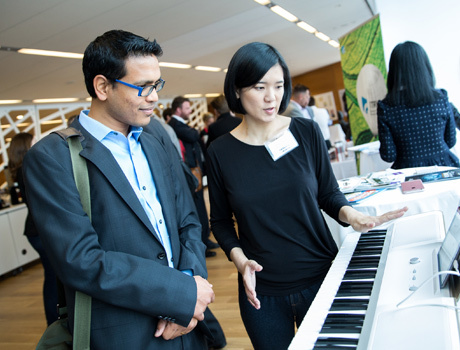 He recently assumed responsibility for next generation sustainability goals associated with innovation at Dow. Mark represents Dow Chemical on the American Chemical Society’s Corporation Associates and the Chemical Heritage Landmark Committee. 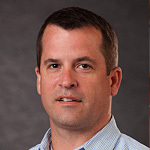 Mark joined Dow in 1990 following a graduate career that had very little to do with his ultimate career path. He followed a degree from Randolph-Macon College with a Ph.D. from the University of Colorado-Boulder where he studied gas-phase ion molecule chemistry - not an area of great industrial interest. A post-doc at the Cooperative Institute for Research in Environmental Science preceded coming to Dow. His early Dow career was spent in Catalysis, in what is now Core R&D. Mark discovered a family of catalysts useful for conversion of ethane directly to vinyl chloride, and other catalysts for both chlorocarbon chemistry and alkane activation. Moves to Performance Plastics, Hydrocarbons, Chemicals, Energy and Licensing R&D, Ventures and New Business Development and the Energy Storage Devices followed. 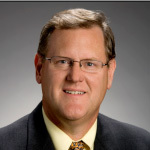 Mark co-directed the Renewable Chemistries Expertise Center (RCEC) for over a decade. Mark touched many areas of technology, including experience in the processing of inorganic materials, fuel cell development for portable power applications, cellulosic conversion, and broad technology exploration. 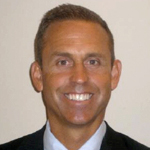 Rob Manes serves on the Edison Universe Board of Directors as Vice President, and is also the Director of Business Development for Edison Universe and Edison Awards. Edison Universe is focused on the roots of accomplishment - promoting the core skills and processes of innovation and fostering a deeper understanding of teamwork and experimentation. Edison Awards, often referred to as the "Oscars of Innovation," are about the triumphs of today - honoring invention, recognizing creative achievement and celebrating success. Rob previously served on the American Marketing Association's Edison Awards Board of Directors' Steering Committee. Rob has remained continually active with the Edison Awards for the past seventeen years. He graduated from the University of Kansas in 1979 with a B.S. in general studies, at which time he entered the consumer products industry. Rob was specifically sought for his expertise in new product launches, sales and marketing. Companies/brands he represented include H.J. Heinz, Borden, Chef America, Inc./Nestle, Tree Top, Chinet (Huhtamaki), Northern tissue, Brawny, and Dixie. Rob was born in New York where he spent most of his childhood in Long Island. When Rob was five years old, his father died, leaving three children for Rob's mother to raise. When he was 13, the family moved to Kansas City, where as a young teen, Rob was responsible for the family's rental real estate business. In 1995, Rob drew upon his teenage entrepreneurial roots and started his own brokerage company, Choice Products Group, focusing on authentic Mexican products. In addition, he also developed his own tortilla brand and distributed it throughout the Midwest. In 2007 he sold his firm to a larger brokerage company. Twenty-seven years ago, Rob joined Big Brothers Big Sisters where he served on the board and began work as a volunteer; that relationship is still flourishing. Rob currently serves on the Business Administration Advisory Board for Johnson County Community College in Overland Park, Kansas. The institution has the largest undergraduate enrollment of any college in Kansas. Rob lives in the Kansas City area with his family. 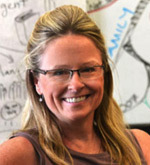 Deana McDonagh PhD., is Professor of Industrial Design in the School of Art + Design at the University of Illinois (Urbana-Champaign) and faculty at the Beckman Institute of Advanced Science and Technology. She is an experienced design practitioner and entrepreneur. She is an Empathic Design Research Strategist who focuses on enhancing quality of life for all through more intuitive and meaningful products, leading to emotional sustainability. Her research concentrates on emotional user-product relationships and how empathy can bring the designer closer to users' authentic needs, ensuring both functional and emotional needs are met by products. She is currently a Research Fellow at Coventry University (UK) and Director of Research for Herbst Produkt design consultancy (USA). She is the Designer Entrepreneur-in-Residence (start-up incubator) at the Research Park (University of Illinois at Urbana Champaign) where she provides design guidance. 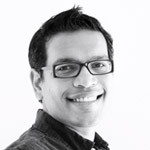 Hari Nair is currently serving as Group Chief Strategy & Innovation Officer at Sime Darby Berhad. Previously, he worked as the Global Managing Director for Kimberly-Clark's Innovation Center, based in Seoul, South Korea. Hari is a thought-leader and expert in applying disruptive innovation and new business models in emerging markets, having advised several Fortune 500 companies as well as several Asian firms. Hari has spent nearly half of his 20+ year professional career living and working in emerging markets, launching new business and products in China and India. Prior to joining KC, he spent 14 years with Procter & Gamble Co in R&D leadership roles, including 4 years in Beijing setting and developing innovations for Asia. 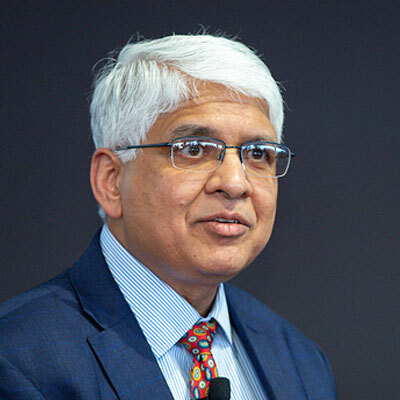 From 2006 to 2012, he worked with Clayton Christensen's firm Innosight, and led the engagement that helped conceive and develop ChotuKool, an innovative refrigerator launched by Godrej Industries and also was part of the team which developed Medtronic’s Healthy Heart for All innovation (both Edison Gold winners). Hari received his B.S. in Chemical Engineering from the University of Wisconsin-Madison; he is also an inventor/co-inventor on eight patents. Clint is the father of three publicly educated girls; a recovering school board member; and a registered professional engineer in a global engineering corporation. Individually none of these accomplishments are significant but in concert they are a powerful force towards better connecting education and business. Clint is the great grandson of one of the first three professors at the University of Kansas teaching Greek and Latin back in 1865. He is also the great grandson of an attorney that made elixir in his basement and founded the Burma Vita Corporation. This company was responsible for one of the most successful advertising campaigns with roadside jingles for the first brushless shaving cream, Burma Shave. It is not surprising then that Mr. Robinson has dedicated himself to finding ways to improve education and how we sell it. 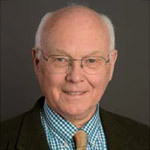 While serving on the Blue Valley School District School Board he helped create and implement the successful Center for Advance Professional Studies (CAPS) which revolutionized how business and education work together for a common goal. Now while providing thought leadership in his industry to the US Conference of Mayors and National League of Cities he is never very far away from the topic of how to create jobs, fill the pipeline, and change the landscape of education forever. His motto is "learn to teach" which means 1) if you can teach it then you know it and 2) there is no value in learning something if you are not willing to teach it to someone else. Susanne Seitinger, Global Sub-segment Manager for Open Spaces in Professional Systems at Philips Lighting is responsible for leading the strategy around the impact of programmable LED lighting elements to create safe, inviting and responsive urban environments. Her combined background in architecture, urban planning and human-computer interaction is comprised of research and design projects like the Digital Mile in Zaragoza, Spain and Urban Pixels, wireless LED pixels for ad-hoc media façades. LightBridge, a project in honor of MIT’s 150th anniversary in Cambridge, Massachusetts, used new configurations of low-resolution displays and sensor-activated urban screens to showcase the potential of responsive infrastructures in future urban lighting plans. She recently published Light for Public Space which provides an extensive overview of recent city lighting design trends: www.philips.com/lightforpublicspace. Cliff Thomas is a Managing Director leading the business operation for Cisco’s largest Global Enterprise clients headquartered in New York. His team is focused on providing business outcomes leveraging Information Technology to create efficiencies, new revenue streams and enhance customer intimacy. Most recently, Cliff Thomas was leading business development, route-to-market efforts and sales in the Americas for the Cisco Smart+ Connected Communities (S+CC) initiative, focusing on intelligent urbanization. 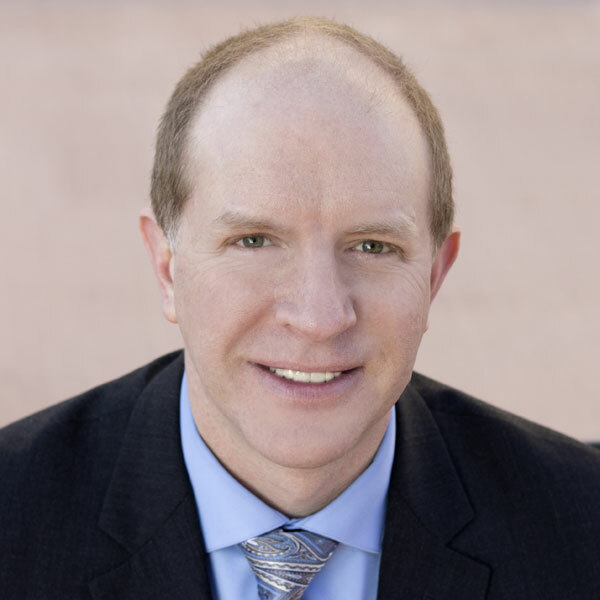 Cliff Thomas has 25+ years of experience in the telecommunications industry, including management consulting and a successful venture in technology services. With 19 years at Cisco in various sales, business development and global leadership roles, he brings both breadth and depth to his role as the business leader for the New York Enterprise Operation -- a team focused on entering and scaling new market opportunities. Cliff graduated from Loyola University in Baltimore, Maryland with a B.S. in Electrical Engineering and minor in Economics. He also completed additional engineering thesis work on Pneumatic Wave Energy Conversion at the United States Naval Academy in Annapolis, Maryland with a focus on sustainability. Cliff lives in New York with his family. Arpana Verma is an accomplished Senior Executive and Thought Leader, with demonstrated success across the science, engineering, energy, oil and gas, child education, and women empowerment industries. Leveraging extensive experience in product development for nanotechnology companies, she is a valuable asset for organizations in similar sectors, seeking assistance with launching products and providing value propositions to customers and shareholders. Her broad areas of expertise include business development, people management, market research and analysis, strategy and communication. Her exceptional ability to provide nanoengineering solutions, product messaging and positioning enables her to take companies to the next level ensuring increased growth and stability. 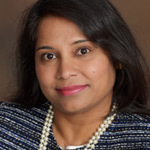 Throughout her executive career, Arpana has held leadership positions with NanoMech Industries, BESTOLIFE, and Hyrdotex. In her current position as Chief Science Officer with NanoMech Industries, she is responsible for managing product offerings and identifying gaps in maintaining the best in class products. This provides great understanding of sizing the market potential and strategies to commercialize. She is a key contributor in creating new ideas to grow market share and generating buy-in for product vision, both internally and with key external partners. Arpana holds a PhD in Mechanical Engineering from the University of Arkansas, a MTech in Corrosion Science and Engineering from the Indian Institute of Technology, Bombay, and a BE in Metallurgical Science and Engineering from the National Institute of Technology, Raipur. She is an active member of multiple prestigious associations including the American Petroleum Institute and the National Association of Corrosion Engineers. Notably, she is the recipient of the prestigious Edison Award for Women Behind Innovation. Her outreach efforts involves participations in Million Women Mentor program and serving on the board of OMNI Nano, a non-profit inspiring next generation scientists and engineers. Moreover, she is the author of one book, six publications, and holds two patents. 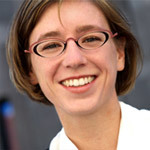 Dr. Rebecca Von Der Heide is a Consumer Neuroscientist and Director at the Nielsen Company, an S&P 500 global measurement and analytics company that is active in over 100 countries. In her current role, she leads world-wide consumer neuroscience research for Fortune 100 clients across a wide range of industries (e.g. CPG, Media, Retail, Auto, Finance, and Healthcare). This research uses neuroscience and behavioral methods to understand consumers’ objective, unfiltered response to advertising, brands, packaging, and entertainment content. 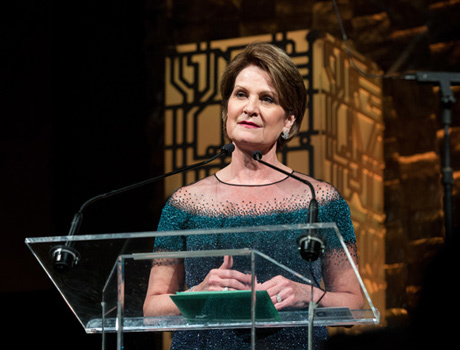 In addition to her role as Director at the Nielsen Company, Rebecca is also a corporate member and volunteer for the Network of Executive Women (NEW) and a well-established research scientist in academic circles. She frequently publishes in highly cited scientific journals in the fields of social, cognitive, and affective neuroscience and visual psychophysics. Some of the journals her academic papers have appeared in include: Brain: A Journal of Neurology, Brain and Cognition, Journal of Social Cognitive and Affective Neuroscience, and Developmental Cognitive Neuroscience. 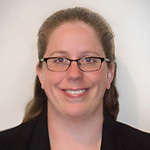 Rebecca graduated in 2011 with her Ph.D. in Cognitive and Affective Neuroscience from The Pennsylvania State University and completed two years of postdoctoral neuroscience training at Temple University. She also successfully completed two highly competitive fellowships in neuroscience awarded to her by the National Institute of Health and Cold Spring Harbor Laboratory. 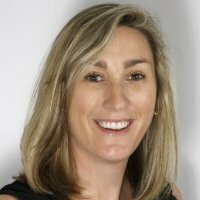 Rebecca will graduate from the Executive MBA program at Georgia Tech with a specialization in the Management of Technology in December 2018.